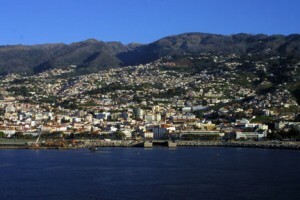 This morning found us docking in Funchal, Madeira, a small Portuguese island. It was picturesque and lovely. There were several different island tours, but we had chosen a trip to the botanical gardens. 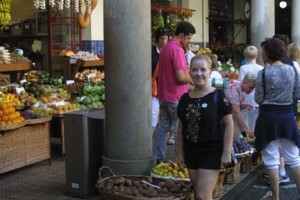 However, before that, we started the tour by stopping at one of Funchal’s markets, where the most beautiful tropical flowers, both cut and in plant form were available as well as embroidered items. 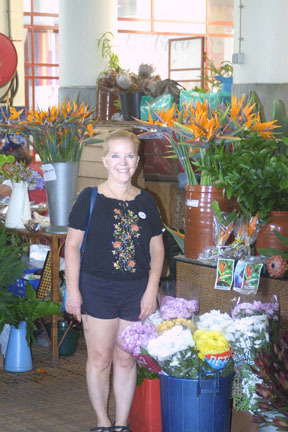 It totally killed me by not being able to buy a few plants, and the fruits looked and smelled delictible, but we couldn’t take fresh fruit or plants back onto the cruise ship. 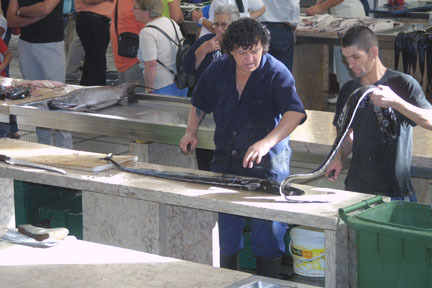 We also saw a fish market where stacks of freshly caught fish and eels were being sold; it was very interesting and very stinky. 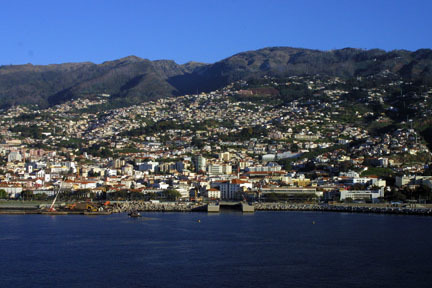 We then went to a small embroidery shop that also housed a Madeira wine shop in the basement and got to have a wine tasting. The Madeira dessert wines are very sweet, which works just fine for us, so we bought 2 bottles to take home. 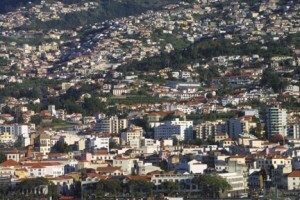 Madeira’s prime economy today is tourism, with 65% of the population working in the tourist industry. 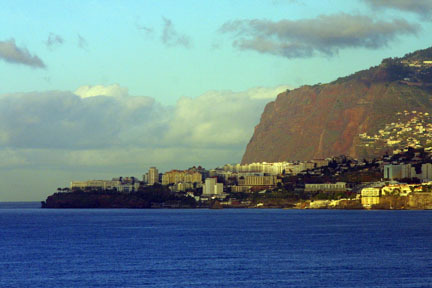 There are also thousands of women on the island who embroider various items and then sell the embroidery through numerous shops for the international clientel.